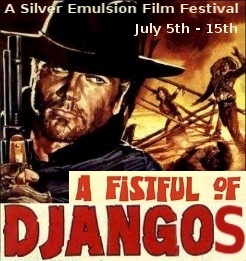 Starting July 5th: A Fistful of Djangos! Hey everyone, grab your cowboy hat and your gatling gun ’cause here at Silver Emulsion we’re rolling out a two-week Django extravaganza! It will run Mon-Thurs starting July 5th and will continue the following Monday July 12th. The Django series isn’t an actual series when defined by strict definitions, but like all good Italian films from that era, it spawned a gazillion clone movies that sought to capitalize on the first film’s success. 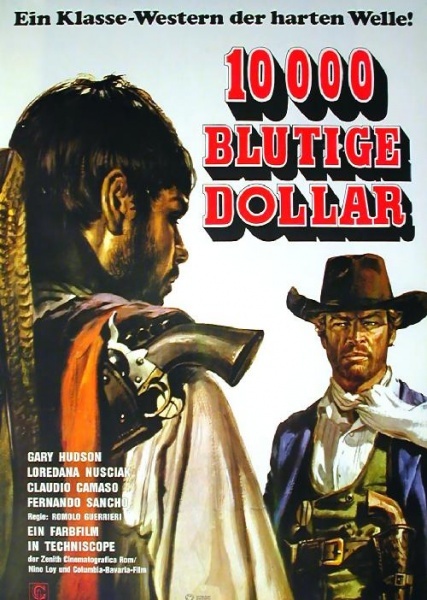 Uncle Jasper and I are going to tackle four films each, for an eight film, two-week look at this classic Spaghetti Western series. Check back soon for more details, including a schedule of the films we’re taking a look at! It’s gonna be Django-rific! If you’re excited about it as we are, feel free to post the banner image on your site!